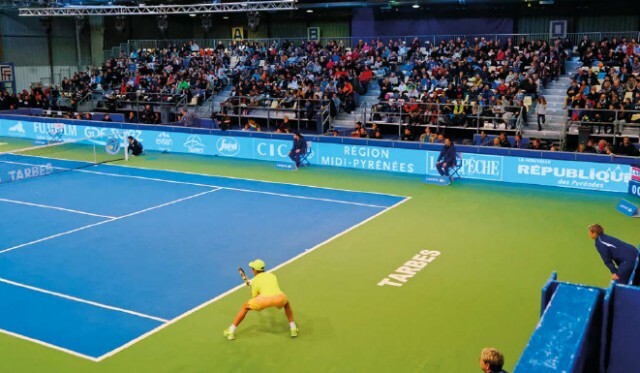 Amidst the frenetic bustle of the ‘village’ set up every year in the foyer of Tarbes’ Parc des Expositions to accompany Les Petits As, a big screen showing the second week of the Australian Open looms over the central eating area. The two tournaments on opposite sides of the globe thus progress concurrently to their respective climaxes: the superstars battling through Melbourne nights before 15,000 spectators for $40m and one of the four greatest prizes in the sport, the juniors fighting their hearts out in a cold indoor hall in the Pyrénées in front of 2,000 diehard fans and no money, but arguably the most prestigious 14 & Under trophy in the world. It’s about as neat an encapsulation of the extremes of a tennis career as you could find – but it feels fitting to have it here. 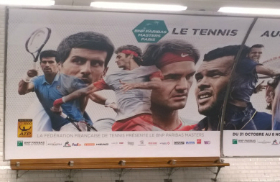 The iconic competitors whose every forehand and fist pump is magnified and replayed over us may seem larger than life, but many of them once passed through this hall in a small French town: 2015 Australian Open finalists Novak Djokovic and Andy Murray first played each other here in 2000. Fifteen years on, they serve as inspiration to the awestruck kids who dream of following in their footsteps. marvels top girls’ seed Anastasia Potapova, of Russia – the eventual champion this year. Tarbes, a community of 50,000 in the foothills of the Pyrenees, has a proud sporting tradition – indeed, it was voted the third sportiest town in France by L’Équipe in 2010 based on the quantity and variety of sports it offered, and the financial support for them. It made sense, then, that Jean-Claude and Claudine Knaebel – a local couple with a passion for tennis – found it an accommodating site for their brainchild back in 1983. 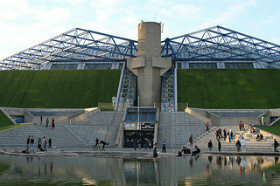 The local authorities immediately suggested the cavernous Parc des Expositions as a suitable venue, and – with coaches used as offices, a physio set up in a caravan and Yannick Noah, who went on to win Roland Garros that year, gracing posters – the first edition of Les Petits As welcomed competitors from four countries. By this year, that number had grown exponentially, with 32 countries represented across the singles main draws: traditional European hubs of the sport (France, Spain); recent emergent forces (Russia, Croatia), and overseas contingents travelling from as far as Asia and North America. 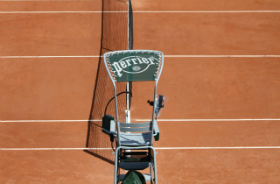 The globalisation of tennis has been one of its most important narratives over the past two decades, and the quarter-final stage at Les Petits As proved a strong reminder of this. Over the day’s play, the diminutive fleet-footed Maltese Helene Pellicano took on the powerful Polish second seed Iga Swiatek in an absorbing match of stylistic contrasts; the ultra-aggressive strokes of Japan’s poker-faced Himari Sato, at 12 the youngest player left in either draw, thrilled spectators for a set as she pushed Russian 14th seed Kamilla Rakhimova to the brink of exit – but proved her undoing as they began to misfire throughout the deciding set. Meanwhile, though, another member of the Asian competitors, Taiwan’s Chun-Hsin Tseng, the boys’ fifth seed, was ruthlessly ending the surprise run of home favourite Adrien Gobat – and would ultimately go on to win the trophy. Tseng is the latest example of the tournament’s pro-active approach to global expansion that has been so key to maintaining its prestige. 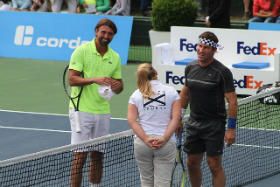 Though he had never played in Europe before, tournament referee Michel Renaux had been impressed by the youngster’s game in an American junior event – and by his father’s devotion to his son’s nascent career, working nights so that he could coach his son during the day. Renaux extended a wild card invitation to Tseng – and it paid off, as Tseng swept to the title without the loss of a set, and indeed without the loss of any more than four games in any set, beating Europe’s top player Timofey Skatov (RUS) in the final. There were echoes of the first time this policy paid off for the Tarbes organisers, back in its 1986 fourth edition. 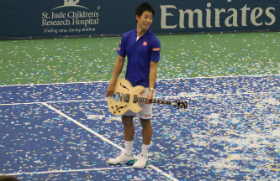 The prodigious Chang also won the title – and, of course, just three years later was to become Roland Garros champion, a result that put Les Petits As on the tennis world’s radar in a huge way. But if effective scouting is one side of the Tarbes story, the tournament’s success can also be attributed to what greets the players during their Pyrenean sojourn. Elite-level junior tennis can have something of a tough reputation: stories of temperamental, pushy or unsporting players, parents and coaches abound, and were famously the reason cited by Richard Williams for withdrawing his daughters, Venus and Serena, from junior competition. Yet at Les Petits As there is no ill behaviour on display, bar a few minor on-court grizzles. This is a source of some pride to the organisers, who have gone to great lengths to create a ‘village’ atmosphere at the tournament. 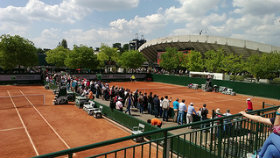 Food, clothing and equipment stalls line walkways near the courts; before and after their matches, players and coaches can be seen relaxing and socialising with each other. Indeed, Renaux states that the greatest challenge of his job – after maintaining the uniformity of the regulations – is to maintain this atmosphere. This extends to supporting the children in times of real need, as well: the Knaebels recall 1995 as one of their most emotional years, when a talented 13-year-old Belgian competed the week after her mother had died. It was Justine Henin, a future legend of the game – and despite her personal trauma, she managed to make it all the way to the final that year, losing only to Croatia’s Mirjana Lucic. 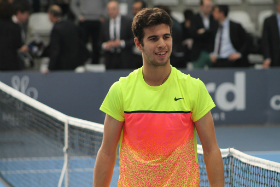 It’s to this end that Alexandre, who reaches the final of the consolation event, is now based in Barcelona. “And in Europe you play on the red clay, which is a lot better than North American hard courts to learn the basics of the game,” notes Guy. 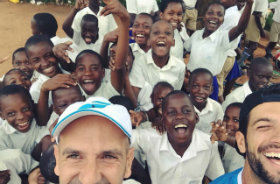 In fact, so impressed were the Leblancs by Les Petits As that it even inspired them to try their hand at setting up their own tournament, a 12 & Under team competition in Canada, which already counts much-touted talents such as Taylor Townsend and Françoise Abanda amongst its former players. “We remembered how this was for us, and we tried to do the same thing,” says Sébastien. Evidently, a successful tournament doesn’t just create the stars of tomorrow – but is key to the growth of the sport worldwide.